Nordhavn´s service department is a well-educated and very competent unit, always ready to respond to calls from locations around the world. 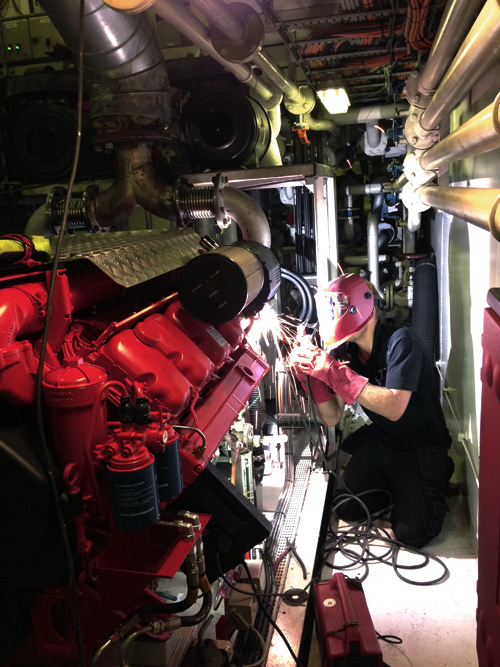 Whether the job is at sea or on land and the subject a generator, transmission or engine, we are efficient, service minded and have a short response time. We can handle practically any service or maintenance job and are at our customers’ service round the clock – known for solving the problem every time. When necessary, a technician is called to your location and at the same time, and order for any spare parts needed is dispatched. In this way, we ensure the fastest, most efficient support in the market and can at the same time avoid unnecessary costs for multiple visits and downtime.